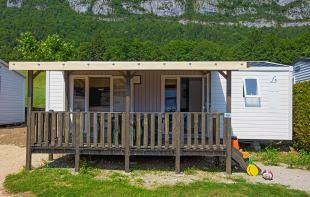 Comfortable mobile home for 4 to 6 people, the Lac+ offers a beautiful surface of 30 m2 outside the terrace. In the centre of the accommodation, the living room includes a lounge area with bench and television, as well as a table and chairs for family meals. 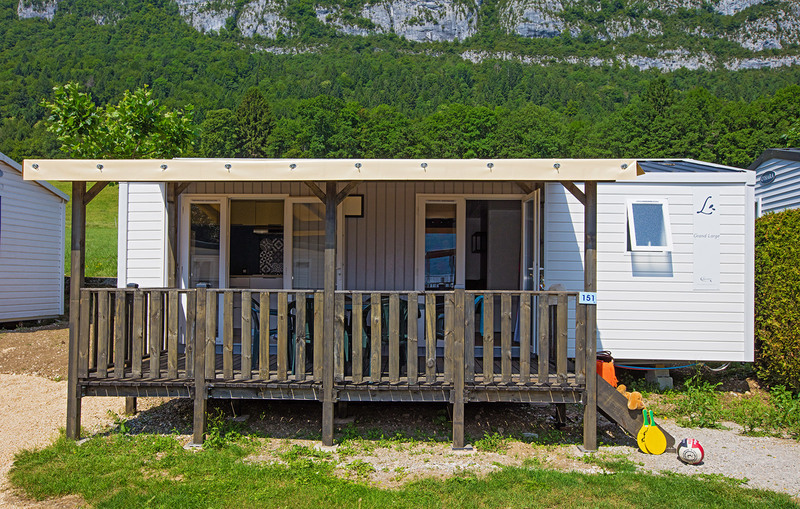 A kitchen, well separated from the living room, provides you with all the necessary equipment for an independent and unconstrained holiday: crockery and cutlery for 6, cooking fires, fridge, electric coffee maker and microwave oven. The kitchen, like the living room, opens onto a pretty covered terrace equipped with outdoor furniture. 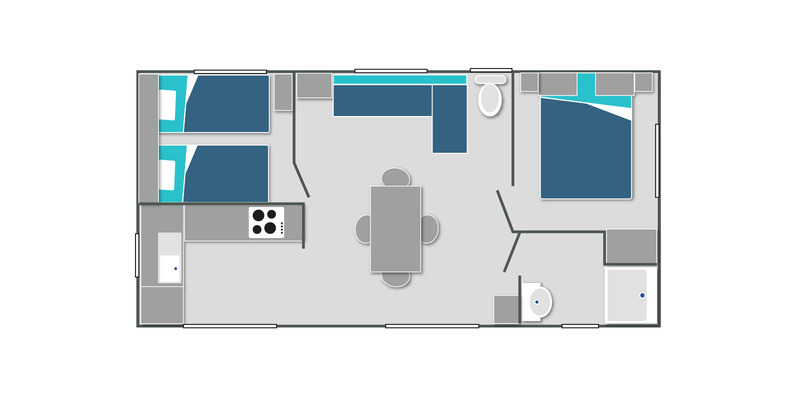 For the night, two separate bedrooms offer a 140 cm double bed and two 90 cm wide single beds respectively. The bathroom of the rental apartment has a shower cubicle, a sink, and a hair dryer. For your comfort, the toilets are separated from the shower room.